Signs of high-quality kitchen cabinets range from attractive appearance to sturdy, seamless operation. If you’re facing a kitchen remodeling in Corona CA in the near future, you know how expensive such a project can be. As a result, you may be tempted to cut corners, specifically when it comes to cabinetry. However, this can prove disastrous in the future, as low-quality cabinets can start to sag, deteriorate, scratch, dent and warp much sooner than you think. 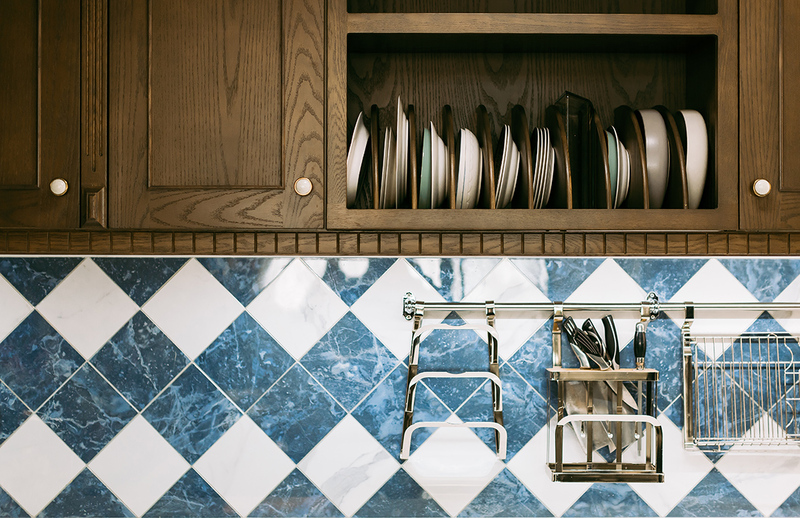 Not only do you have to shell out more money in the long run to fix the problem, the failure of your cabinets could result in the damage of your dishes, collectibles and more. It’s best to invest in quality kitchen cabinets now. Your investment will pay off in spades and you will enjoy high-functioning, aesthetically-pleasing, safe and sturdy cabinetry for many years to come. That being said, we certainly understand how prohibitive the cost of quality kitchen cabinets can be. However, we offer excellent quality, outstanding value and high-quality services at our kitchen cabinet outlet. Because we deliver exclusive wholesale and discount cabinets at affordable prices, we lower the cost of your kitchen remodeling in Corona CA so you can stay within your budget. Call us now to learn more at 909-980-0700. For now, check out these seven features of high-quality kitchen cabinets to help guide you in your search. Cabinets are usually crafted of either solid wood, plywood or particleboard. Many cabinets you find online or in stores will feature full plywood sides and backs so they stay stable during delivery and installation. This will also help to offset the weight of heavy countertops and resist moisture damage. Particleboard is a less expensive alternative, but you will pay dearly for that cost-cutting measure: it’s more vulnerable to damage from moisture and crushing. All-plywood construction holds screws, fasteners and glue better than particleboard. And because plywood is made with layers of wood that run lengthwise and crosswise, it has a higher tolerance for moisture, which is critical for cupboards placed around sinks and faucets. Here at Summit Cabinets, we only offer solid wood cabinets and shelves, and never particle board. Not only is wood classic and timeless, it’s flexible, can be customized at a low cost, is durable and comes in a variety of wood types. Another sign of high-quality construction involves full-height back panels, which offer more strength and easier installation. Low-quality alternatives may include thin panels, metal hang rails and brackets, and picture-frame construction. When you have weak back panels, this can result in falling cabinets. Cabinet hinges are vital components of any kitchen cabinet. Low-quality hinges will lead to stiff, uneven or loose doors, as well as doors that don’t properly close. So, it’s possible have a high-quality cabinet door but poor hinges, which can bring down the value and function of the whole system. Soft close mechanisms are highly flexible, and will adjust when cabinet doors expand and contract as part of seasonal changes. They don’t slam shut like traditional hinges do, which reduces wear and tear on the hinge itself as well as the door and surrounding supports. Summit offers high-quality European door hardware and six-way adjustable hinges. High-quality drawer glides support the smooth and silent movement of your cabinet drawers over the years. The more weight your drawers have, the greater need for heavy-duty glides. Weak glides result in sagging, loose, or sticking cabinet drawers. Ball bearings and steel guides offer smoother operation and longer wear. They are mounted underneath the drawer box, with the ability to support a heavier loads — usually of at least 90 pounds. Ready to assemble cabinets, or RTA cabinets, come to you in sections so they can be assembled on site. This allows greater flexibility at a lower price. Not only do you have more choices in terms of materials and layouts over fully factory assembled cabinets, you get superior materials and craftsmanship. Here at Summit, our NKBA certified kitchen designers use advanced 3D technology to map out your kitchen or bathroom so you get the perfect fit every time. There’s nothing worse than kitchen cabinets that look thrown together and that fail to flow well. Another place where you don’t want to skimp on quality is the shelving. That’s because the shelves take the brunt of the load within your cabinets. Pay attention to thickness and material choice, as they will determine the rigidity and strength of the shelf. Solid wood is the way to go, as it provides better rigidity than particle board. Cabinets with custom modifications give you many sizes, styles, and specialty features, tailored to your kitchen’s unique needs and space constraints. Because the manufacturer builds each kitchen cabinet as a custom project, you can save on production costs by starting with a basic cabinet line, then adding modifications as you wish. Experienced kitchen designers can provide you with a high degree of personalization. Before you start your next kitchen remodeling in Corona CA, consider RTA cabinets from Summit Cabinets. Get in touch today at 909-980-0700 or sign up for a free kitchen design.